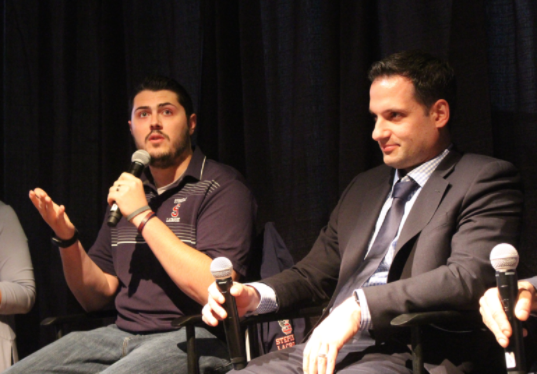 With sports, comes injuries; with injuries, come pain relievers, and prescription opioids are very good ones; but with prescription opioids comes the risk of addiction, and school athletes may have vulnerabilities that make them more likely to get an addiction, a panel of experts told a crowd Tuesday in Greenwich. 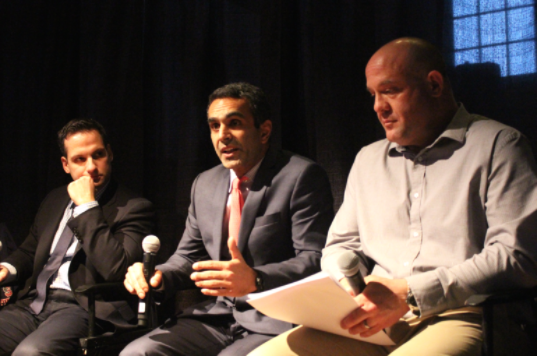 At Tuesday’s “Stress, Success and Teen Setbacks” event at Arch Street Teen Center, a panel that that included Dr. Paul Sethi from ONS, tackled the physical and psychological challenges of athletes coping with injuries. Dr. Sethi described student athletes as vulnerable. “Their identity is wrapped up in sports and how we emphasize — as parents or as a society — in sports how great it is to be professional or how that will mean access to a college career,” Sethi said, adding that vulnerability comes into play when opiate medications are introduced. “How do I tell the injured athlete to get through the pain. It hurts. Do I look you in the face and just say, ‘Put some ice on it and you’ll be okay?’” He said doctors can’t leave injured athletes in the lurch. Sethi, who was a college wrestler, said it is key for injured athletes to have someone they’re comfortable to talk to. On the other hand, he said, he doesn’t want to leave his patient in the lurch and, for example, have them in pain on a Saturday night and have to resort to the Emergency Room for relief. Sethi said this is the dilemma for doctors. — This article originally was published by GreenwichFreePress.com. Dr. Demetris Delos, also of ONS, recalled how he injured his knee playing soccer in high school, ultimately requiring surgery. The psychic challenges of an injury are as important as the physical ones, Delos said. The stages of grief will set in, beginning with denial. He said when athletes look in the mirror at themselves, they feel vulnerable. “The pills I give you for your surgery that you really needed — the ones you don’t use — get diverted and go to the wrong place,” Dr. Sethi said, adding that appropriately prescribed pain medications are the No. 1 source of pain pills that circulate in high schools and colleges. 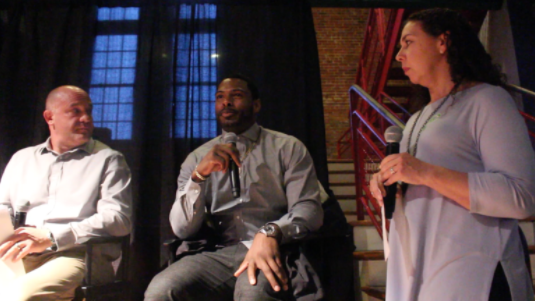 A special guest appearance was made by Michael Cox, former NY Giants running back, who talked about how, from a young age in Dorchester, Mass., he aspired to be a professional athlete. 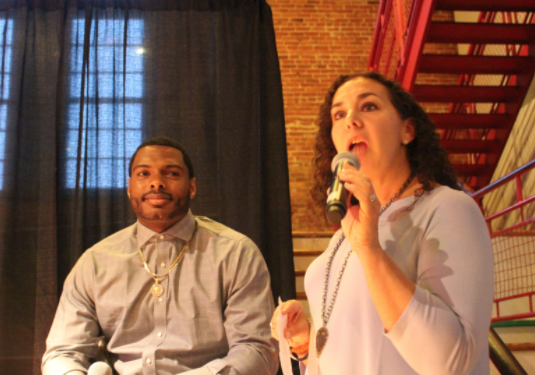 Michael Cox, former NY Giants running back and moderator Stephanie Marquesano of The Harris Project. Cox said he shattered his leg, which now has 10 metal pins in it and that he had undergone reconstructive surgery. Michael Cox talked about his passion for sports and how he coped with being sidelined by a serious injury. Falla said coaches also play a key role: Some coaches create a negative environment where athletes have to be tough and believe winning is most important. Good coaches tend to be involved in teaching and do things that are proactive for the injured athlete to keep them feeling part of the team, he said. For example, they can schedule some of their PT and strengthening along with their teammates. Michael Ahearn, a recovery specialist and coach, and Dr. Demetris Delos, a sports medicine specialist and knee & shoulder surgeon with ONS. “I remember the satisfaction I got when the other kids […] wouldn’t do that stuff — I was a badass. I was an egomaniac with low self-esteem,” he said. In his sophomore year, two friends from high school died. He also suffered serious head injures that kept him away from lacrosse.